On Thursday, February 2, 2012, University of Maryland School of Medicine's Department of Psychiatry will release a documentary entitled, "Walter P. Carter: Champion for Change." This documentary will share one man's courageous fight to end segregation in Baltimore. A special feature of the documentary and its release will feature The Senior Choir of Union Baptist Church singing freedom songs of the Civil Rights Era. The demand of RSVPs for the noon film release has prompted a call for a second show to be presented on Wednesday. After its release, a special showing will be held at Union Baptist Church on Sunday, February 12, 2012 following the morning service. Mr. Donnie Glover has put together a very nice collage for the "Red Tails" movie. The Men's League of Union Baptist Church is taking the young men of the church and community to see the movie this Saturday. I'm going to take my father to see it as well. Promote this movie; it took 20 years to make it. Our collective support can pave the way for positive stories such as this to be produced. Hollywood studios were stunned by how well the No. 2 film, George Lucas banner film Red Tails, did in matinees Friday. Until they discovered that the Lucasfilm/Twentieth Century Fox movie’s marketing inside the African-American community resulted in busloads of schoolkids and midday filmgoers for the Tuskegee Airmen’s true story. Despite fears that this pic appeared very frontloaded, it went up a whopping +40% from Friday ot Saturday and kept surprising by flying towards $20M. It boasted an ’A’ CinemaScore from audiences. Historians and critics chide this film as a whitewash. Directed by Anthony Hemingway (Treme) it had a stream of other writers working on it over the years but John Ridley (who also has story credit) and Aaron McGruder receive screenplay credit. Rick McCallum and Charles Floyd Johnson receive full producer credit. Yesterday during the morning service, my nephew recited the names of the Presidents of the United States beginning with George Washington. He paused after saying the name of Bush 43. 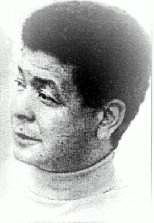 He recited the 1963 "I Have a Dream" speech of The Rev. Dr. Martin Luther King, Jr. The power of the speech coming from the lips of an eleven year old was reinforced when after the speech, he then said the name of our 44th President, Barack H. Obama. The entire congregation was moved, almost to tears. Following his presentation a soloist sang, "Precious Lord." To achieve freedom in our land one will need spiritual freedom first. After which I believe you can grow in grace and knowledge. Today, we have much to be thankful. Today, we still have work to do. I remember standing on the steps in front of the Capital in January 1983 when Stevie Wonder took the stage and released the song, "Happy Birthday." Later Ronald Reagan signed into law the legislation that would make today a national holiday in honor of The Reverend Dr. Martin Luther King, Jr. I had a pleasant surprise this morning as I watched morning television prior to going to church. 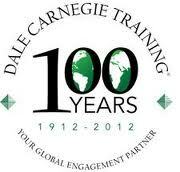 There was a segment on the morning show describing the work of the Dale Carnegie Training. It is estimated they have trained over 8 million people around the world with their techniques for "Winning Friends and Influencing People." This is their 100 year anniversary. How marvelous to think that an idea would be so powerful and a man's concept would be so well received. Adding to the joy of watching the segment was the interview with its President, Mr. Peter Handel. 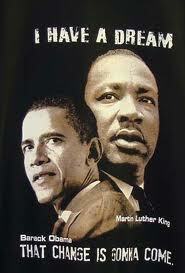 He does epitomize the philosophy of his organization. He is an astute businessman with a compassionate heart for service. I'm proud to call him and his wife my friends. Dr. Howard Thurman once wrote, “a dilemma is the kind of problem that a man faces when live options, alternatives, are presented to him, any one of which is not quite a satisfying solution to the problem that confronts him." In life, we find that the choices before us are not clear cut. They are not simply black or white, yes or no, right or left. Life has many grey areas. Life has many borderlines. How do you decide how to make the right choice when confronted with so many options? Even as I write this, there is no easy answer. Life is situational, and it is always transitional. Therefore, each one of us is constantly faced with decisions and choices in life. Our vision is blurred. We only have the benefit of microscopic vision. We sometimes can see the little things. We need the benefit of macroscopic vision, the ability to see the big picture. Some have a periscopic vision, the ability to look around. Before you today and tomorrow will always be choices. 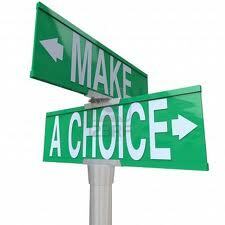 Choose wisely your life depends upon it. You may wonder who is this young man pictured in my blog this morning. His name is Tavon Austin, who plays for West Virginia University's football team. He's also from East Baltimore and played for Dunbar High Schools' football team. Scripture asks the question, "can anything good come from Nazareth." Given all the negative press about Baltimore via "The Wire" and daily news. You might ask can anything good come from Baltimore? Tavon Austin and West Virginia played one of the greatest football games in Orange Bowl history when they beatClemson last night: 70 - 33. My hat is off to Mr. Austin and wish him the best that life; his skills, and God can offer to him. It's the fourth day in 2K12. Do you find yourself doing the same things that you did last year? Is your routine the same? Are your options the same? 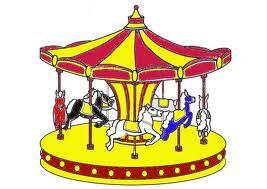 Do you feel like your life is a merry-go-round? The unfortunate reality is for some people old habits are hard to break. Continuing the same patterns, visiting the same places, hanging around with the same people reinforces for some that life is only a merry-go-round, and that you are spinning in circles. How do you get off of life's merry-go-round? How do you keep your life from spinning in circles? How do you experience the new mercies promised that you are to see each day? These are good questions. The Psalmist reminds us to, "look to the hills from whence cometh our strength; our strength comes from the Lord." To change your patterns, don't look around, don't look back, learn how to look up. This is my first post of 2K12. I want to encourage someone who is wondering whether this year will be any different than last year. I know you have been wondering and wondering what will alter your course? What will change the trajectory that your life is traveling? You have spent the last two days in prayer and meditation asking for the windows of heaven to open and to pour you out a blessing. This is the year that you will enjoy and eat the fruits of your labor. This is the year of your breakthrough. God has prepared you for this moment in time. He has strengthened your prayer and devotional life. He will respond to the deepest yearnings of your heart. God does answer prayer! As you continue into 2K12, I ask you to focus upon the small miracles you are experiencing. That is God's reinforcing actions to let you know He is with you. The things that heretofore you have taken for granted. God operates within the small crevices of our lives. Yes, He can do the miraculous. Yes, He can do the spectacular. What God always does is the small miracles that bless our lives everyday. Learn to count the small blessings. Learn to find peace in the comfort of knowing God is always available to you. 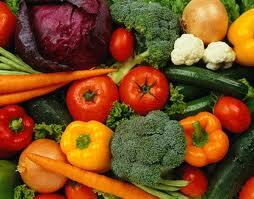 If you understand this truth, this will be the year that you will eat the produce of God's great land.